The Art of Vicki: Attack of the Graphite! 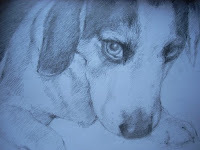 I dont know how long its been since I have posted ( maybe i havent hrmmm) any pencil drawings here on my blog. 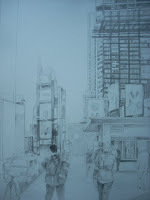 And since its the foundation ( and my first passion ) of every work, here are a few recent drawings. 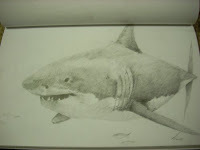 One of our family dog Kipper, the Second a drawing of New York City when I visited in 2000, and the last a shark. Why a shark? Why not?! I say. Well, here you have it. I will posty some more soon.